In a world where no one seems to have enough time to get through all of life’s demands, this is one less thing to worry about. There’s a sentiment in the investment world that if everyone invests in indexes, the stock market will stop functioning the way it was intended. For example, if everyone buys index funds, the values of the stock prices of the underlying companies won’t reflect the valuation of the companies, but rather just the inflow of funds to indexes. Index funds don’t participate in the price discovery process, so if only index fund investors were in the market, then the market would no longer be efficient. If there were no longer individual investors creating the demand and supply which determines fair market prices of stocks, then the entire market would no longer be just that, a market. While, in theory, this is a valid concern, the truth is that the vast majority of the public stock market would have to be held by index investors for the market to become inefficient. In reality, Bloomberg estimates that less than 18% of global equities are owned by indexers. This is well below some of the threshold numbers that leading economists warn against. Larry Swedroe believes that market can remain efficient as long as index funds comprise less than 90% of all stock ownership. What this means is that investing in index funds will continue to be a viable investment for many years to come, since there’s no indication that those levels will ever be reached. After all, there’s always someone willing to bet that they can beat the market average. 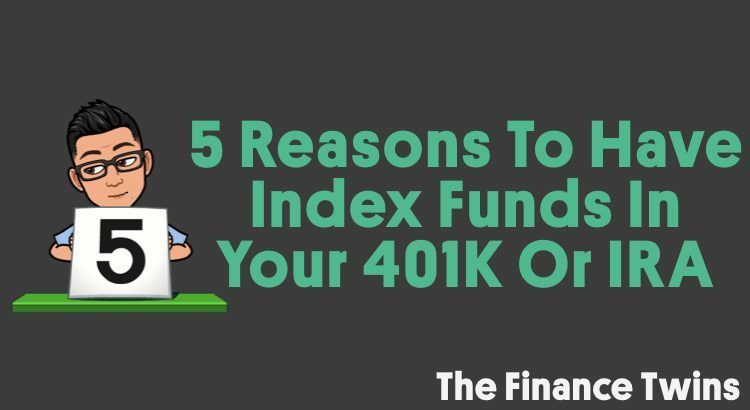 I’m 100% in agreement with you as far as inclusion of an Index fund in your 401K or any retirement account. The next question is choosing and buying the right Index. Index Fund investing is just like other types of investing, it’s about your goal and tolerance to market volatility. Continued education and due diligence is a must. Thanks for reading, and glad you agree. We love to keep our investments simple. For most people, it’s more than enough. I’m maxing out my 403b and I am about to open a roth IRA. 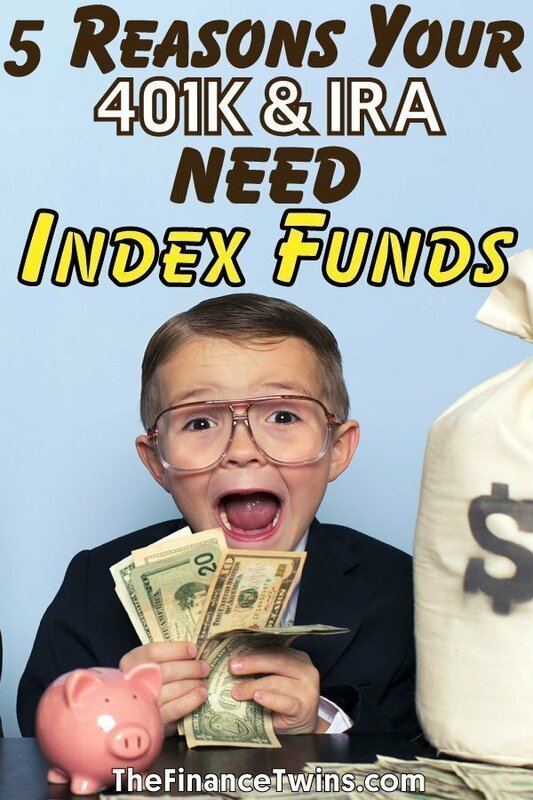 Do you think it is wise to have index funds in BOTH my 403b and Roth IRA? Hi Nikki, you should think about all of your investments as 1 portfolio. Even though your money may be split across several different accounts, it’s all your money and you should invest it all as if it were all in 1 place. So if you have 100% of your 401K in stocks, but keep just as much money saved in a savings account, then your asset allocation (what you invest in) is actually 50% stocks and 50% cash. So it makes sense to have index funds in BOTH, if that’s how you want your money invested. For the record, we hold index funds in both. New to the website and looking forward to binging on your content/ideas! At a high level I agree with your thinking of viewing the aggregate of all accounts as one bucket for most people. But as someone who is very interested in finance/tax management/etc, I wonder when ideals start to shift. I’ve recently crossed the threshold of income to contribute to Roth IRA. While I max Trad/Roth 401k I’m noticing a large increase in contr to my taxable account since I want to invest all monies exceeding my emc budget (this year + predicting all other working years). While this won’t super hurt this tax season I’ve got my eye on divd income for mid/long term future in my taxable accounts. Hey K, welcome aboard. Our advice to Nikki wasn’t taking taxes into account, just simply to view all of your separate accounts as a single larger portfolio when considering your asset allocation. Since you’re quickly building wealth you’ll def want to tax plan efficiently. But it’s ultimately a very personal decision, since every situation is unique. If you’ve fully exhausted all of the tax-advantaged investment options available, your plan seems logical.